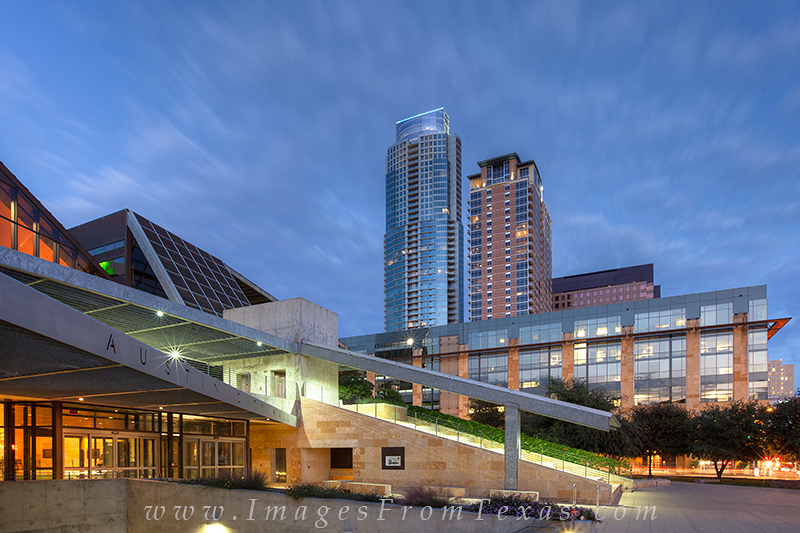 Austin's relatively new City Hall Building is an architectural marvel and complelments its surroundings. It is only feet from the shores of Lady Bird Lake and the Hike and Bike Trails in downtown. Photo © copyright by Rob Greebon.